The daring cousin to our classic Oval Link Chain, this iconic design features tightly-linked gold loops, forming a chain fit for any occasion. 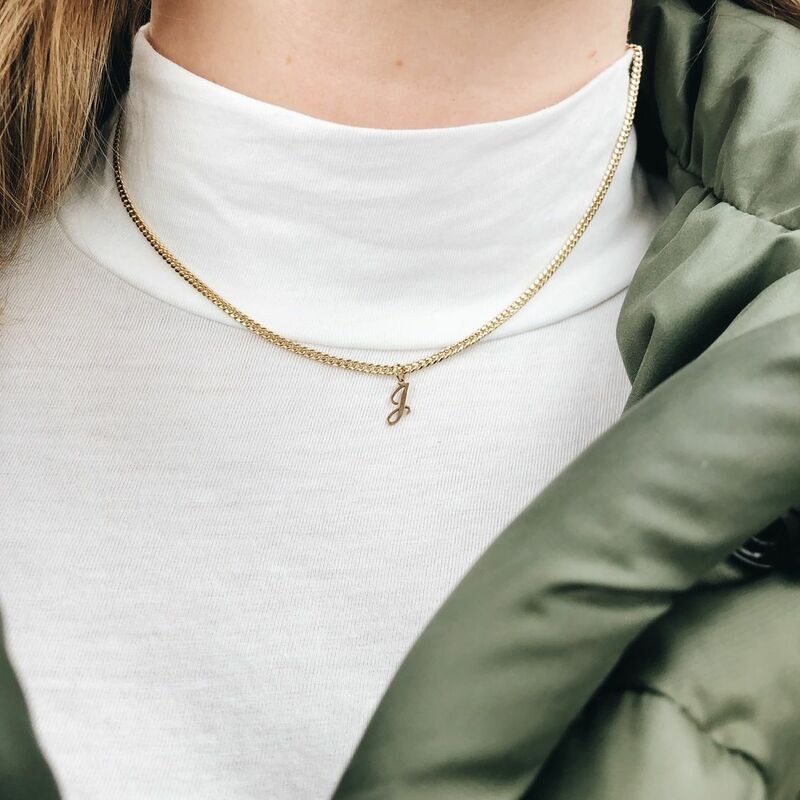 The Cuban Link Chain is a bold statement, on its own or paired with our Letter Pendants for a more personal appeal. • Lobster clasp closure • Enjoy 30-day returns, and read our full guarantee here. Tanisha D. Reviewed by Tanisha D.
It's delicate for a cuban link, but makes a bold statement. I love it. You should buy it. Now. Hans H. Reviewed by Hans H.
Vivian T. Reviewed by Vivian T.
For a Cuban style chain, I thought it would be more heavy but it’s pretty light in weight so it looks better when you’re not wearing it over clothing that isn’t bulky. The gold is also a bit more gold than pictured. Aside from these, it’s a pretty chain.